The deck is very well produced and filled with rich colours and dynamic designs, with a subtle Celtic feel, for example spiral borders, interweaving symbols mixed with fractal imagery (mathematical equations). 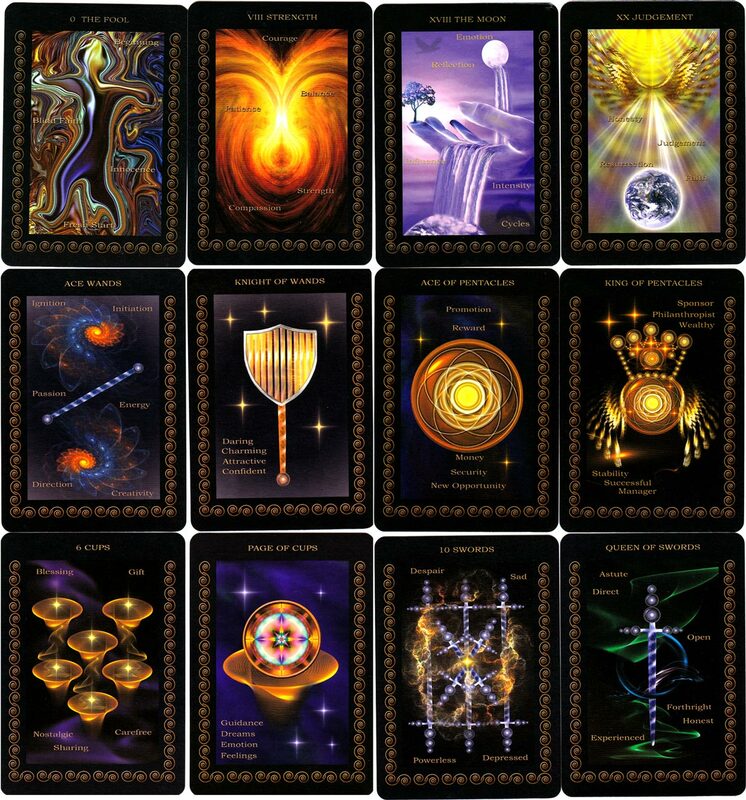 The cards are marked with key words that help you think intuitively. Above: 'Inner Realms' tarot cards designed by Saleire, published by Schiffer Publishing, printed in China, 2012. Boxed set containing 78 cards, 6" x 9" plus 128 pp booklet.